Department of Art | FSU BFA Chris Cheung's New Zine Published! 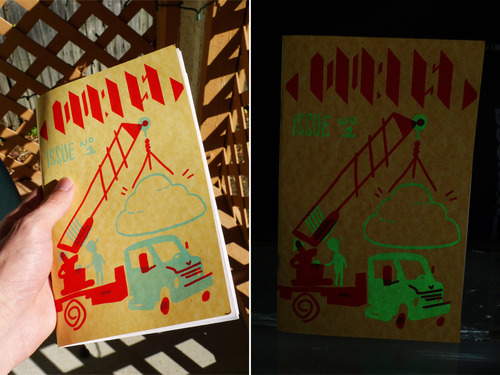 Home » News » FSU BFA Chris Cheung's New Zine Published! FSU BFA Chris Cheung's New Zine Published! Hey, my zine is finally done! TOURIST is all about trying to appreciate everyday life in a tourist town after all the glitz and bright lights fade away. 2-color silkscreen cover with 16 B/W pages of comics and drawings and photos and stuff. $5 but I’m also open to trades if you’re the artsy type!